There is no clear record of when the Northern Ute people acquired horses. In 1640 some Eastern Utes escaped from Santa Fe where they were kept prisoner by Spanish invaders. They took horses north with them. Imagine the surprise of their band as they rode into their former life as impossibly tall spirits. The Southern Utes continued to capture Spanish horses when possible, but these would remain extremely rare in the Northern areas of what is Colorado today. Fortunately the horse thrived well on the native grasses of the valleys and plains and naturally increased in number. It must have felt miraculous when the first foals were born to a band. As warring bands of Comanches, Apaches and Southern Utes displayed their power on horses, it became clear that all indigenous people needed these speedy, sturdy and adaptable beasts. By 1700, it was likely that Northern Utes had traded for or stolen their own horses. For the first time Ute people could carry larger loads of hides, meat, baskets and hunting tools. With horses, Utes could hunt buffalo, defend themselves against attackers, scout for game and transport shelters. 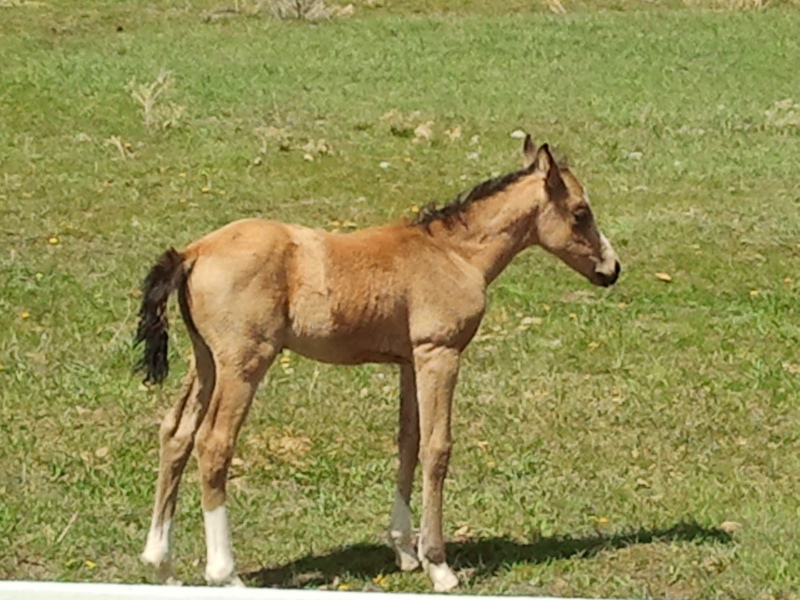 Today, as I ride a bicycle through rural Colorado, I also marvel at newborn horses. Possibilities arise as this shaky creature quickly gains strength.